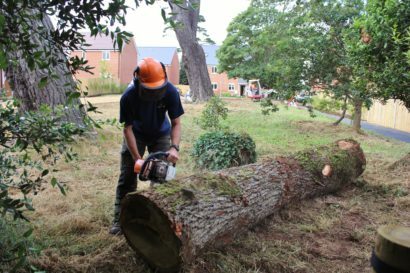 We’re firm believers in the potential of the built environment to provide wildlife habitat, especially so for those species dependent on human dwellings. In fact we see it as a necessity. Top of the target list comes the swift, our iconic bird of summer. UK populations have declined at an alarming rate, in part the result of the dwindling supply of accidental nooks and crannies in and around roofs. Modern houses are just too well-sealed and older properties become renovated. All for the good in improving energy efficiency, but disastrous for the wildlife that used to share our homes. So when we were asked to help design-in ‘wildlife encounter’ at Spectrum Housing’s new Freshwater Fields development we were very keen to flag up the plight of swifts. 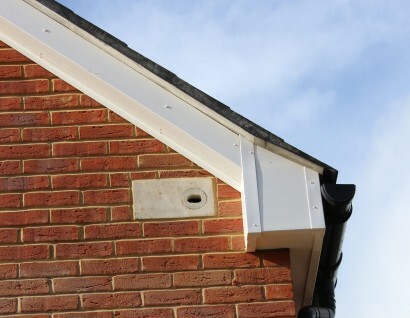 Thanks to the tremendous enthusiasm of Spectrum’s project manager, Liz Evans, and the help of the RSPB’s swift expert, Stephen Fitt, 50 swift nestboxes were built into the brickwork of the new properties – discrete, safe, self-contained and a whole new habitat for a bird that everyone knows. And of course this means that the first signs of interest from birds returning from their long migration in May are quickly spotted by keen-eyed residents who in turn then become of the project’s future. One of the most exciting things about Freshwater Fields was also the combination of built habitat and public realm. A small copse, bought by the housing association as part of the site acquisition, but closed off and unused for years (conserved largely thanks to a tree preservation order) has provided the perfect public greenspace, somewhere which gives new and surrounding residents a chance to enjoy local wildlife as well as a reason to participate in its conservation. 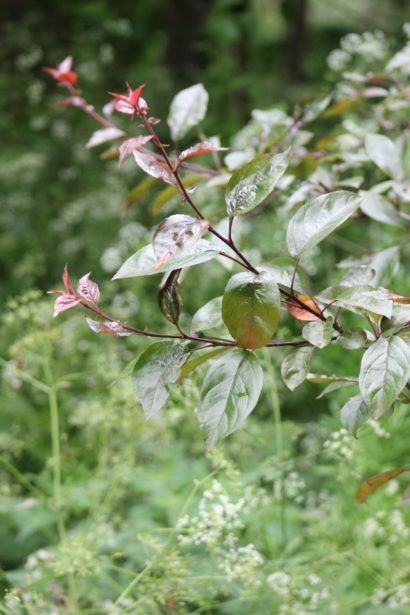 We wrote simple, effective management prescriptions for the woodland, designed new path layout, organised contractors and programmed volunteer days to help with a planting scheme that is all about ‘maximum edibility’ for wildlife and for people! Beyond the copse and throughout estate’s communal greenspaces, a planting palette was designed to provide pollen and nectar resource for invertebrates – often overlooked but just as important… so when those swifts arrive, it’s all there ready for them. Completed in 2014, Freshwater Fields is being used as a case study for best practice in building with nature around the UK. 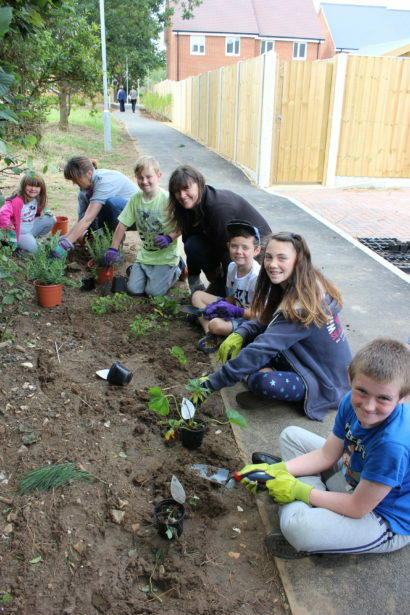 It engaged both new and existing residents, helped introduce them to one another; it provided a housing association developer, and their build team with a project they are still proud of to this day. 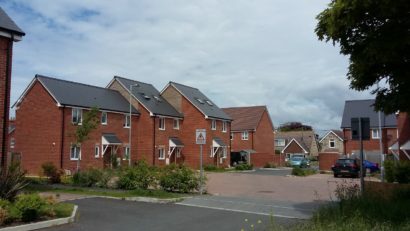 The development has also been hotly watched by volume housebuilders – their researcher’s door-to-door surveys showed that residents were either positive or neutral about living with swift boxes (in one case, a house-owner had chosen to move there specifically because of ‘nature nearby’). Our approach here and on developments around the Island even helped inform a ‘nature-friendly’ MOU between the RSPB and the national house-builder. 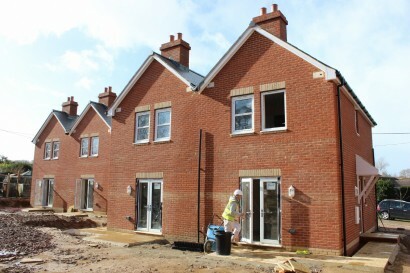 According to the RSPB’s swift expert Stephen Fitt, Freshwater Fields development was one of the first housing developments that the RSPB know about with swift boxes in most if not all of the houses. 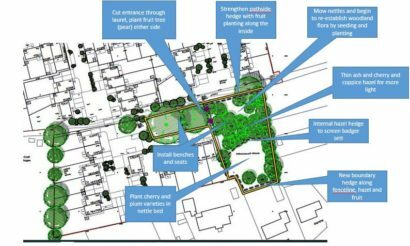 And there you have it… the retention and positive management of abandoned green infrastructure together with an estate-wide landscaping strategy with high invertebrate appeal and new built habitat for birds, all combined to make a swift and green space showcase! What’s stopping you? And we’ll be back again in Spring 2019.